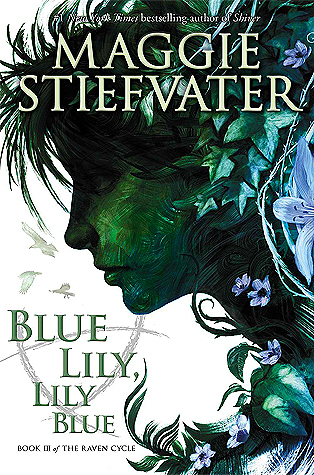 Blurb Description: The third installment in the all-new series from the #1 NEW YORK TIMES bestselling author Maggie Stiefvater! Friends can betray.Mothers can disappear.Visions can mislead.Certainties can unravel. I HAVE ALWAYS BEEN IN AWE of Maggie Stiefvater and the whimsical, magical books she writes. She brings magic into the normal, which is the main reason I have LOVED her Raven Boys Quartet to date. That is, until Blue Lily, Lily Blue. I went into the third book of the Raven Cycle MORE THAN A YEAR after I read The Dream Thieves and I immediately got pulled back into the intrigue, the dreams, the magic and the hunt for Glendower. I couldn’t believe HOW MUCH I’d missed Blue and her Raven Boys and all the whimsicalness that came with them. And yet, about 200 pages into the book, I suddenly found that the pace of the book had dropped radically, and that I was forcing/ pushing myself to read further because this book was DRAGGING. A lot of the sub-plots suddenly felt unnecessary (a whole murder set up? Really?) and I honestly didn’t know what to make of it. 1. THE WHIMSICAL WRITING STYLE: If you’ve read a Maggie Stiefvater book, you KNOW her writing style is unlike anybody else’s. 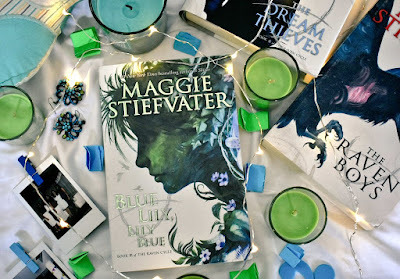 A story like The Raven Boys wouldn’t work if her writing didn’t personify every magical and strange thing happening in the book and I will FOREVER be in awe of how Maggie Stiefvater writes. 2. BLUE AND HER RAVEN BOYS: I AM OBSESSED WITH THESE FOUR TEENAGERS, their friendship, their loyalty and their devotion all while being such different people by themselves. I absolutely loved this one phrase Blue used to describe their friendship, because I FEEL THE SAME WAS WHEN I READ ABOUT THEM: ‘Consuming.’ This series and this friendship is consuming and I can’t wait to read the final part. 3. THE ANGST: Like I kept saying (yelling, really) on Goodreads, ALL THE CHARACTERS IN THIS BOOK DESERVE TO BE KISSED. There is so much angst, and I absolutely love the build-up but I CANNOT WAIT FOR THE DAY THAT ALL OF THEM JUST. KISS. THAT. PERSON. THEY’VE. BEEN. WANTING. TO. KISS. 1. THE PACE: Like I mentioned in the very beginning, as I reached the end of this book, the face fell, and it fell RAPIDLY. It couldn’t shake the feeling that nothing was happening, and that things we’re just being dragged out until The Raven King. I liked the book, but I WISH IT HAD BEEN PACED BETTER. 2. WHERE WAS NOAH, EVEN? I couldn’t shake the feeling that Noah was MISSING through the course of the book. While we focused so much more on Colin Greenmantle and his wife (WHAT WAS THAT ENDING? I DID NOT UNDERSTAND WHAT HAPPENED BETWEEN THEM) and the ladies of 300 Fox Way and there was a certain death which I DON’T UNDERSTAND EITHER (How? Why? WHAT?) because it was too whimsical but I felt like we lost out on so much Noah Czerny, one of my favourite Raven Boys. Will I be reading The Raven King? As SOON as I possibly can. I only wish that Blue Lily, Lily Blue was better paced and had more Noah but I hope that the finale in simple perfect. Have you read The Raven Cycle? What do you think of it? Who is your favourite Raven Boy? 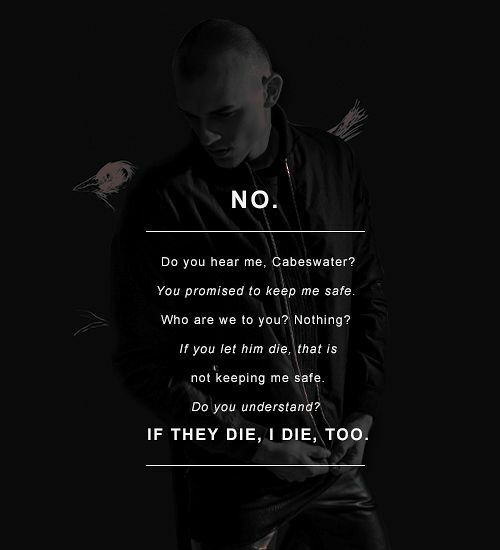 Don't spoil it for me but DID YOU LOVE The Raven King? Is it everything I'm hoping it will be?